Great; I'll definitely give it a go! But does it cost anything? The link mentions upgrading to MediaMonkey Gold for $25. Are there limitations to the free download? ALSO, to confirm, it organizes folder structure automatically, right (not just when the program is open)? Does MediaMonkey add GraceNote tag info (i.e. : album cover, artwork, etc.)? MediaMonkey free version will do everything you need to regarding tagging and organizing. A quick google search looks like it provides tagging of album art as well. Also, no spyware, etc. And just a FYI - GraceNote isn't a tag - it's a company that has a database that contains information on music. Do MediaMonkey work on Macs? Bought a 16 gb Sandisk Cruzer Fit for $15. Amazing how small these things are! As inexpensive as the memory is, don't understand why our cars don't have same built in. Understood, but I've never had either a USB drive or an in-car hard drive go bad. Many years ago I did have a laptop hard drive go bad, however. 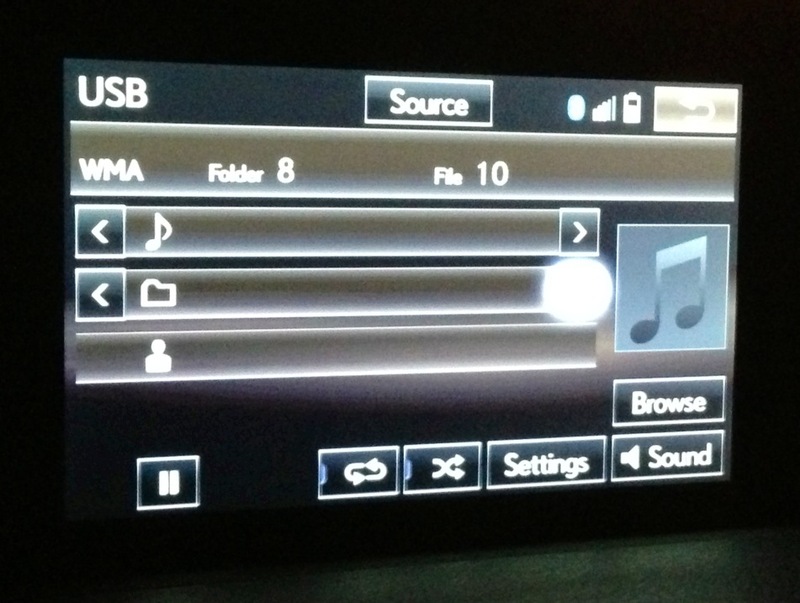 Earlier tonight I organized folders containing WAV files in each on the USB drive, was excited to plug same into my car to see the fruits of my labor, but was disappointed when the car kept randomly jumping from file to file stating “1”, “2”, “3”… and so on. From the main screen, I wasn’t able to skip from folder to folder either and would need to click on the blank square box (where I believe album art should have been) to move to the next folder. Sorry, but this is difficult to describe. Has anyone seen this, where the car keeps skipping from track to track, with not playing anything? Can someone please lead me in the right direction? Thanks. Last edited by dbs600; 11-09-13 at 08:20 AM. 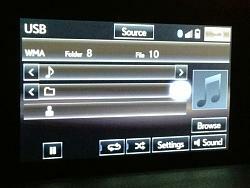 The same USB drive I'm having problems with in my Lexus works in my BMW; the files are WAV files. Those of you who have saved music to and play music from USB drives, can you please describe the way in which your files are organized on same (simply folders containing WAV files?)? This is why I never got into saving music on my computer / iPhone, etc. Thanks! There is some "built-in" memory, hence why you can "rewind" the radio station. You just can't copy music from the flash drive to it. What they really needed to have was a SDCard reader for music. That would've been the cleanest solution. You sure you don't have randomize or randomize folder enabled? Mine plays all the files sequentially in a folder unless that is enabled. Also, as a side note, the randomize functionality is kind of screwed up. Sometimes it will repeat a song it's already played and if you accidentally skip a song and hit "back" to try to play it, the previous song really isn't the previous song - it's just a random song. Retarded. 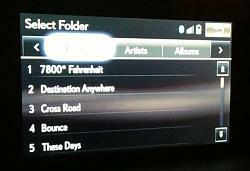 Even my 4 year old mp3 player keeps track of songs correctly. Really you shouldn't be using WAVs - you should be using MP3s (encoded at at least 192 kb/s, but preferably 320 kb/s) or OGGs (though I don't know if they're supported). You're wasting a lot of space by using WAVs. 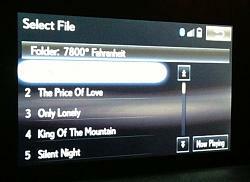 My MP3s, as I've stated, are organized by genre then by artist. I'd say you need someone tech savvy to help you set it up dbs600. I just put my music into specific folders and hit random.